Here is a carpet solution on a concrete floor. The 1/4" (6mm) Serenity Ultimate Underlay™ will help absorb all impact and low frequency noise while the Serenity Super Pad™ makes a nice comfortable underlayment for your carpet. Carpet on a wood structure. This will add mass to your floor by adding more density. 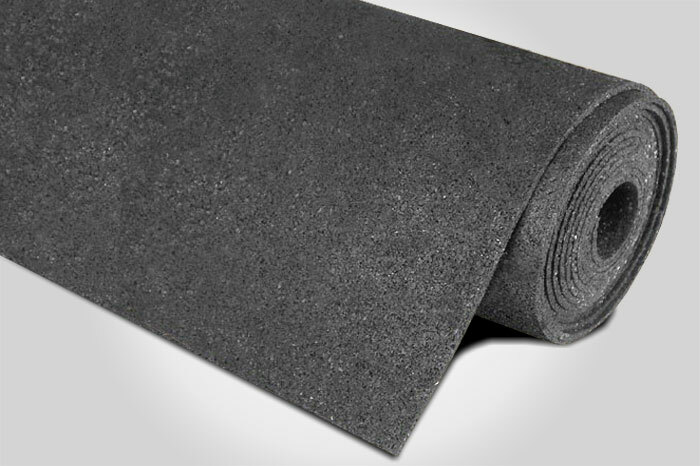 The 1/2" (11.5mm) Serenity Ultimate Underlay™ will reduce all airborne sounds as well as foot traffic noise. Helps block both high and low frequency noise. Luxury noise control and soundproofing under carpet is now available with just one product. Ideal for use in new and renovation projects; one step installation will solve impact and airborne noise problems. Serenity Ultimate Carpet Underlay™ is the only product for use under all types of carpet that can add 2lb/sqft at only 11.5mm thickness. You will experience the ULTIMATE in peace and quiet from noise above and below, without the cost and inconvenience of tearing up your current floor. Made in the USA from 93% recycled rubber, Serenity Ultimate Carpet Underlay™ has been designed to benefit our environment, and provide unequaled performance in your soundproofing project. Our soundproofing carpet underlay will provide valuable LEED points to your project.